While opposition elements accuse Governor of Imo State, Owelle Rochas Okorocha of performing below expectation, the former Deputy Speaker of Imo State House of Assembly; Surveyor Jonas Okeke, Peoples Democratic Party chieftain, on the contrary, has hailed Governor Okorocha for his strides in education and infrastructures. 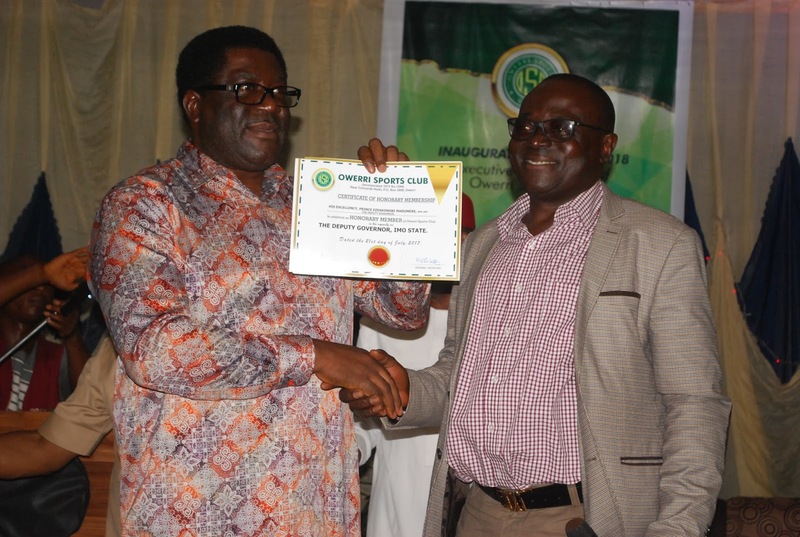 The former Deputy Speaker under Chief Ikedi Ohakim’s administration made the statement during the investiture of Prince Eze Madumere as an honorary member of the prestigious Owerri Sports Club and as the Celebrity of the Club at the Club complex, new-Owerri, Owerri, Imo State last Friday. The Surveyor turned politician said while he agree that most of the old politicians have been retired, he insisted that Governor Okorocha has done well. “Among some of the achievements of Governor Okorocha are construction of four bridges across Nworie stream with new roads, de-congesting Warehouse round-about and given commuters and motorists options. He also gave people travelling to Aba and other neighboring States alternative routes. It was difficult accessing Owerri Sports club, but Governor Okorocha led government changed the sad situation when he tarred roads leading to the club and across the club;’ he enthused. 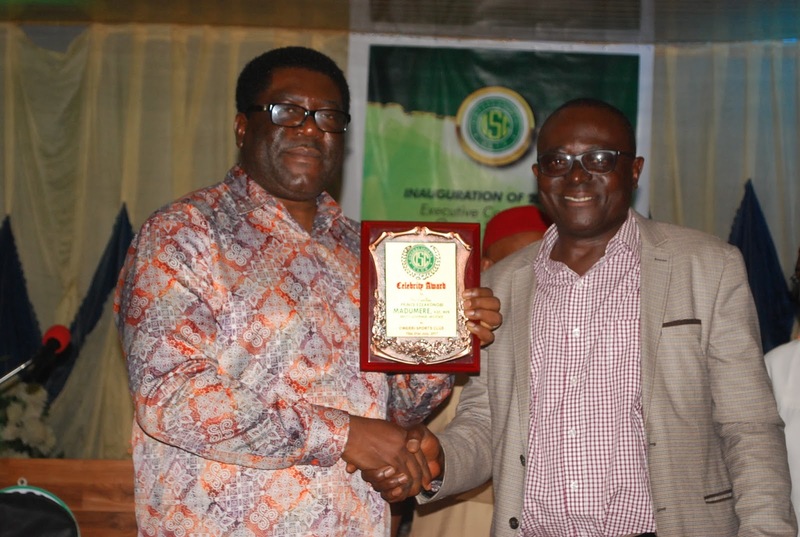 On the merit of Madumere’s investiture as the Celebrity of the club, he described Madumere as a model politician worthy of emulation by any forward looking politician. His words; “I belong to a different political party with the Deputy Governor. I decided to come and witness his induction because of his virtues and strength of character. Prince Madumere is also a very humble politician, worthy of emulation. He deserves the honour because he is a good match and a wonderful team player who has given unalloyed loyalty and unflinching support to the Governor to concentrate to deliver on his wonderful dividends to Imolites. He said he was not surprised with the large turnout of prominent personalities including majority of the members of Imo State House of Assembly led by the Majority Leader, Hon. 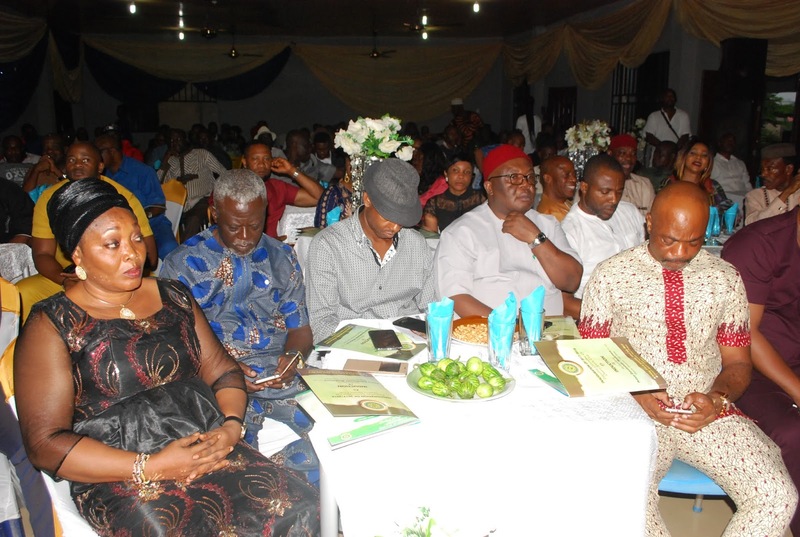 Lugard Osuji during Madumere’s induction ceremony. 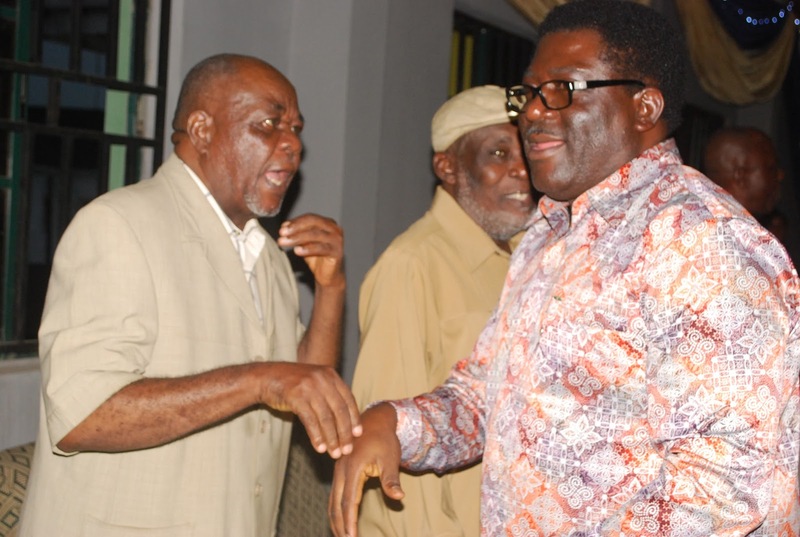 He described Madumere as a man after people’s heart. 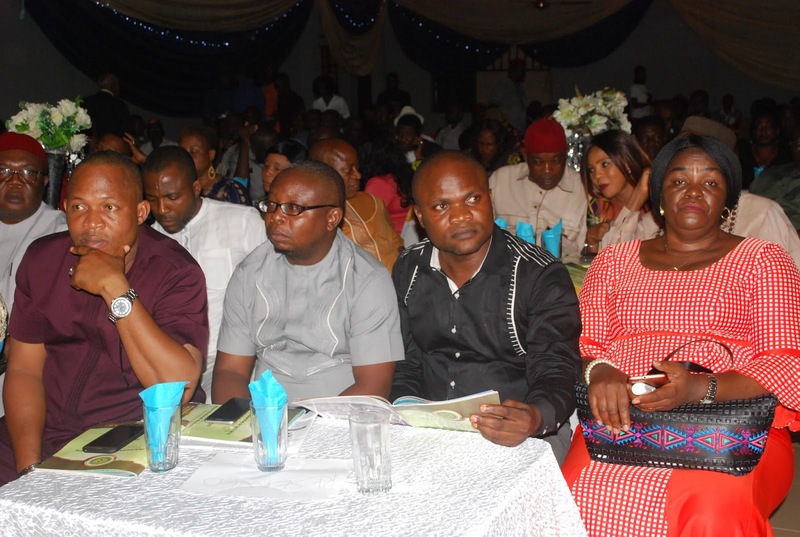 He therefore thanked everyone who came to honour Imo Deputy Governor despite the heavy down pour.